Stop the spin – Bishopstoke deserves better! ADD UPDATE, 18 June 2017: As our group fights to save Bishopstoke from the eco-vandalism of Eastleigh Borough Council’s (EBC) emerging Local Plan, we try resolutely to stay out of party politics. 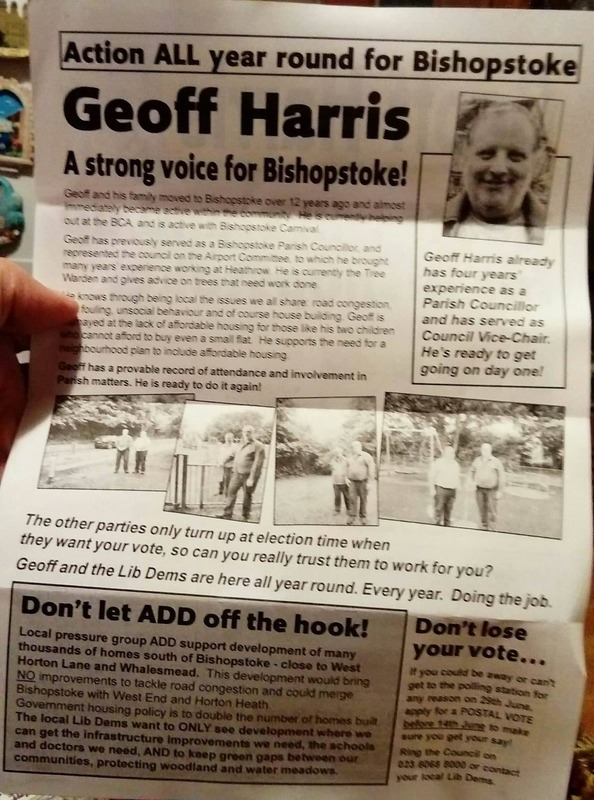 Nonetheless, we have little choice but to correct allegations made in this Liberal Democrat leaflet of Geoff Harris, entitled ‘Bishopstoke Parish Council Election Special – 29 June 2017’. Our aim is to fight proposals put forward by developers to build over 6,000 homes just outside Bishopstoke and Fair Oak (often called options B and C), which are apparently supported by the Lib Dem leadership of EBC. We believe that these options would have catastrophic environmental consequences for the borough, for local ancient woodlands, for the River Itchen, for the South Downs National Park and for the character of Bishopstoke. We have widespread support from, among others, conservation and wildlife organisations, the Campaign to Protect Rural England (CPRE), parish councils, angling clubs, the Woodland Trust and from the TV naturalist Chris Packham, who has accused EBC of “shabby politics”. ADD is not standing in this parish council by-election. We are pleased to have the open support of Independent candidate Tabatha McCormick, but she is not part of the ADD committee nor financed by us. It is for EBC, not ADD, to decide where to build houses; we are simply commenting upon options they have proposed. To contribute positively to the debate we have commented on which sites, in our view, would be less environmentally damaging. These are, however, EBC’s options not ours. In our view, EBC should do more to assess and promote other potential sites and not be led by developers. The only significant infrastructure ‘improvement’ identified by Mr Harris is a road link to the M3. There is no evidence that this road will alleviate traffic congestion and ADD has severe concerns over the cost, routing and ecological implications of such a road. Despite promises, EBC has still not released the further traffic/ecological studies that they themselves have identified as necessary. We call upon EBC to show us the evidence that demonstrates that the proposed road will solve traffic congestion and will not result in massive ecological damage. We hope that this post corrects the inaccurate impressions created by Mr Harris’s leaflet so that the people of Bishopstoke are better informed when they choose how to vote in the Bishopstoke (East) by-election on 29 June. 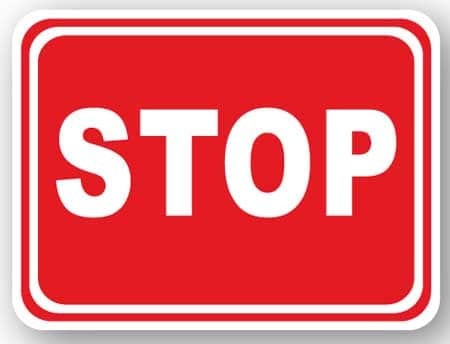 Your ticket for the: Stop the spin – Bishopstoke deserves better!